You are going to Watch One Piece Episode 370 English dubbed online free episodes with HQ / high quality. Stream Anime One Piece Episode 370 Online English dub The Secret Plan to Turn the Tables! 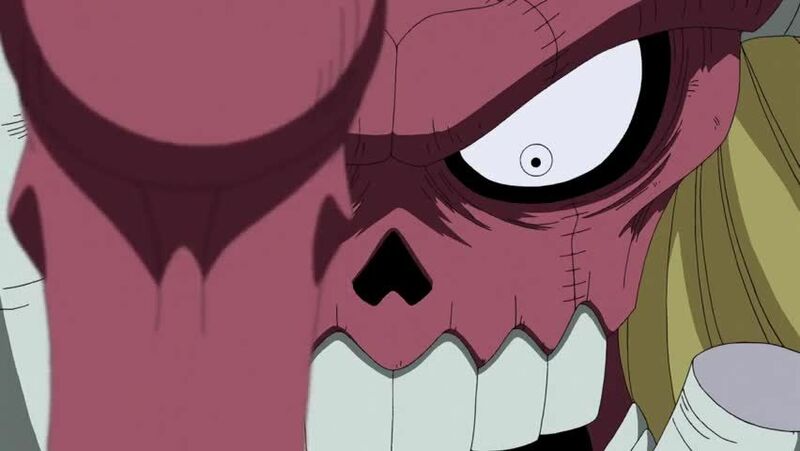 Nightmare Luffy Makes His Appearance. With Moria’s guidance, Oars is better able to counter the Straw Hats’ strategies and turn their attacks against them. Franky is knocked unconscious after a failed attempt to fire himself at Oars with a giant slingshot known as Kuwagata and shoot him at point-blank range with Weapons Left. Nami arrives and joins the battle, but Oars demonstrates that he can somehow stretch his limbs, which the crew realizes is Moria’s doing. Elsewhere, Luffy meets up with the Rolling pirates, whose shadows have been stolen by Moria. They plant shadows into him in order to multiply his fighting strength and grant him new skills so that he can defeat Moria.